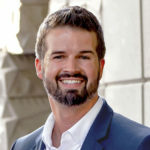 I was fortunate to have the opportunity to speak with Jeff Shore in a recent one-on-one about some important things to consider when implementing an Online Sales Program. Check out the video below. As always, thank you for the opportunity Jeff! segment today joined by the guru of converting traffic into . .
doyouconvert.com, Mike Lyon. Hello, Mike, how you doing? you don’t have any control over that. That’s the way it works. So . . .
Mike Lyon: This is me in a nutshell. What’s that from? Jeff Shore: I don’t know. Mike Lyon: ‘Austin Powers.’ That’s a horrible reference. Jeff Shore: Yeah. Yeah, there you go. less? I’m going to try it and you can score me on this. Okay? actual buyers. In a nutshell, that’s kind of what I do. interesting to me was the buzz. there and I saw something really interesting. before that customer walks through the door. first time, it would probably blow their mind. Right? conversation and do it in a normal, not weird, creepy way. way. Absolutely. That’s a perfect example. who are just sort of hanging on for dear life to the tech train. Mike Lyon: Yeah, absolutely. First of all, I think you’re very advanced. can utilize the CRM, you’re toast. communicate faster, more efficiently than ever before. what to do next and make it easy on yourself. Facebook is a fad. That was a stunning number right there. Mike Lyon: Excuse me, sir. It’s 53%. where we are in social media, where we’re going in social media? business using these tools. It’s a fad. I think it’s all a fad. Jeff Shore: I dont think so. own quote, I didn’t steal it. Are you ready for this? Jeff Shore: Go for it. Yeah. you the results that you want. Jeff Shore: Okay. Great content . . .
Mike Lyon: That’s pretty good, right? get you . . .
Mike Lyon: It will always get you the results that you want. Every time. always worked. Facebook, Twitter, Pinterest, it doesn’t matter. networking platform does not matter. don’t have the opportunity to get their product out there. real easy: Realtors and current customers. Jeff Shore: Right. Right. Okay. because you’re a nice salesperson. do think it’s a very viable option and one that works very well. Jeff Shore: Right. Last question because we’re up against the clock, here. that jump to the top of your list? Mike Lyon: Okay. Jeff Shore. Jeff Shore: Oh, stop it. Yeah. Please. of the greatest business thinkers. I love Gary Vaynerchuk. Jeff Shore: That’s fine. It’ll wait. Mike Lyon: Okay. It’s like, next interview. Let’s go. Jeff Shore: Exactly. Yeah. Yeah. figure back there in the corner. I’ve got his books on my wall. everybody should read. How to win people . . .
the idea? Is that the plan?